This Suction Inlet Test Kit is a combination of our model 7990 Suction Inlet Tester and our model 7991 Suction Regulator Tester. Model 7990 Suction Inlet Tester is designed to test the pressure and flow of a vacuum inlet while model 7991, our Suction Regulator Tester is designed to test the static pressure and flow capacity of a vacuum regulator. 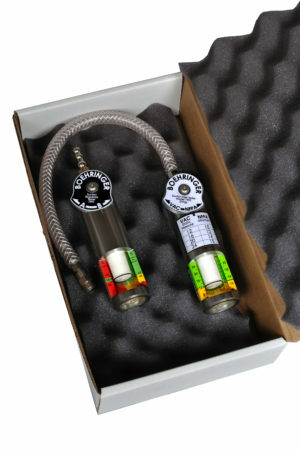 Both devices included in this kit are calibrated at our factory. To maintain factory calibration, the orifice should be kept clean and free of debris. The instrument should be sent back to the factory for calibration every two years.